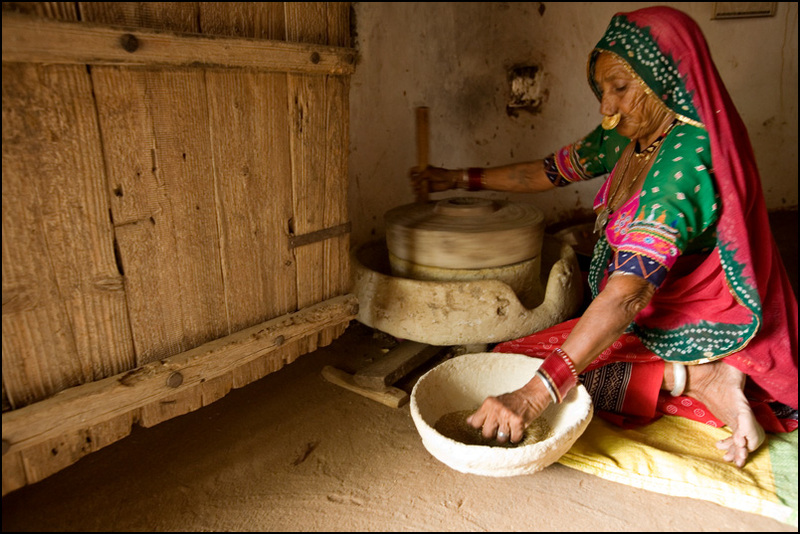 Enchie, a Bishnoi woman grinding millet to make chapatis, inside a hut. 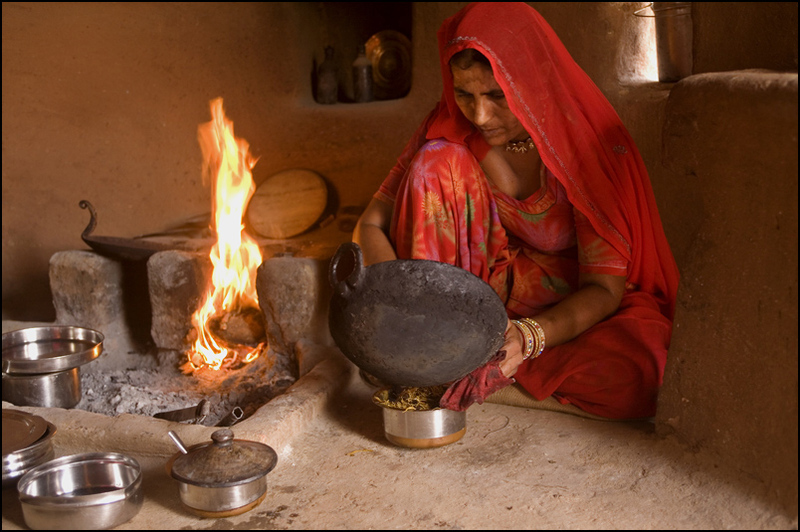 The Bishnois are a community of nature worshippers in the state of Rajasthan. 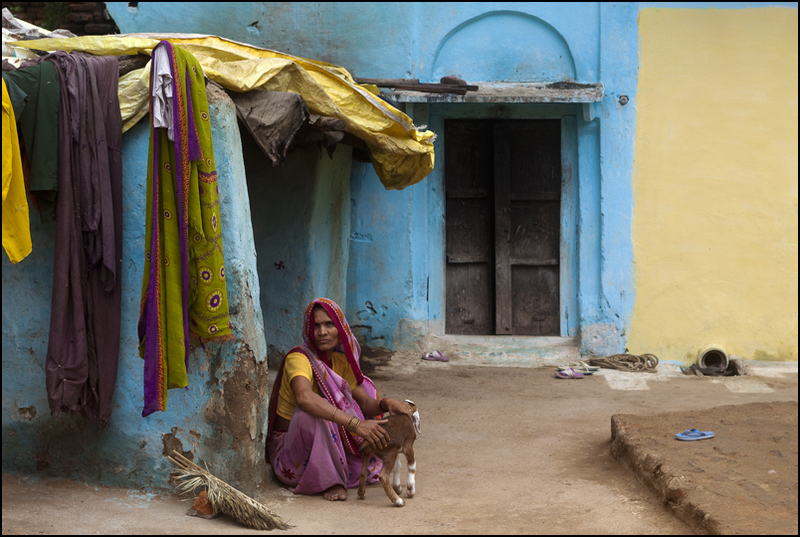 Bishnois are strong lovers of wild animals. 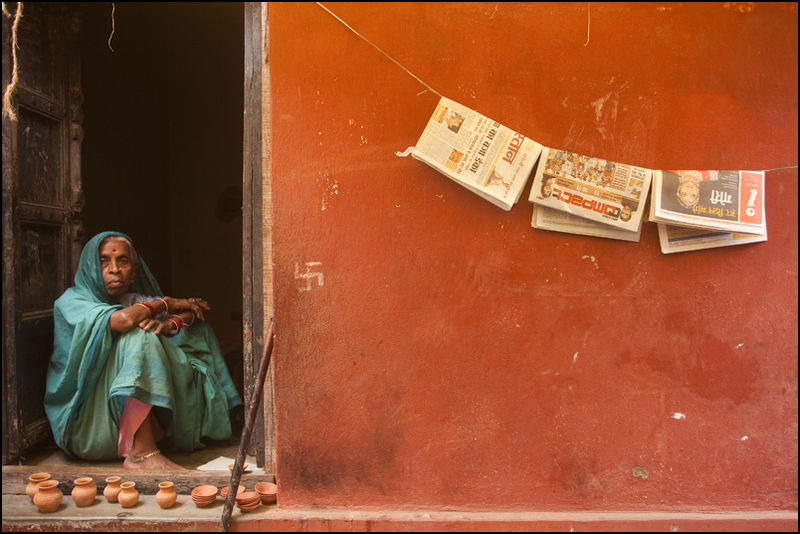 An Indian woman setting up her shop on the threshold of her house in Varanasi. 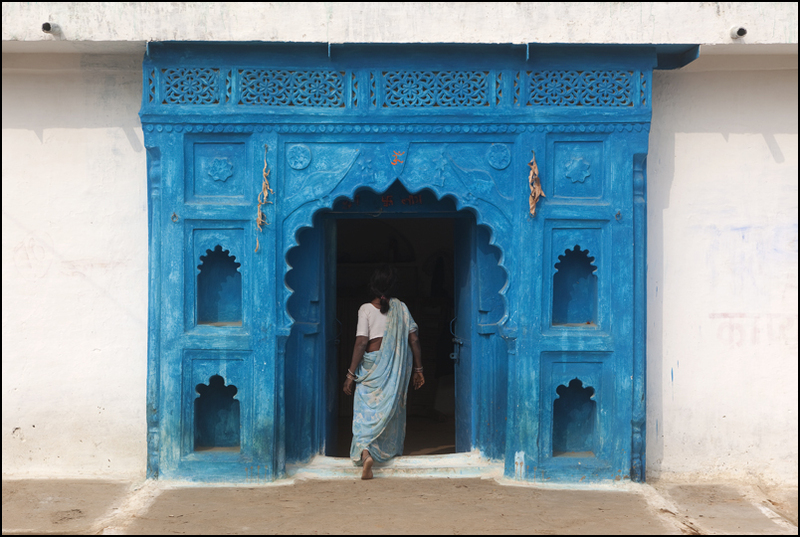 Deepeeka at the door of her house, at the side entrance of the Jagdish temple in Udaipur. 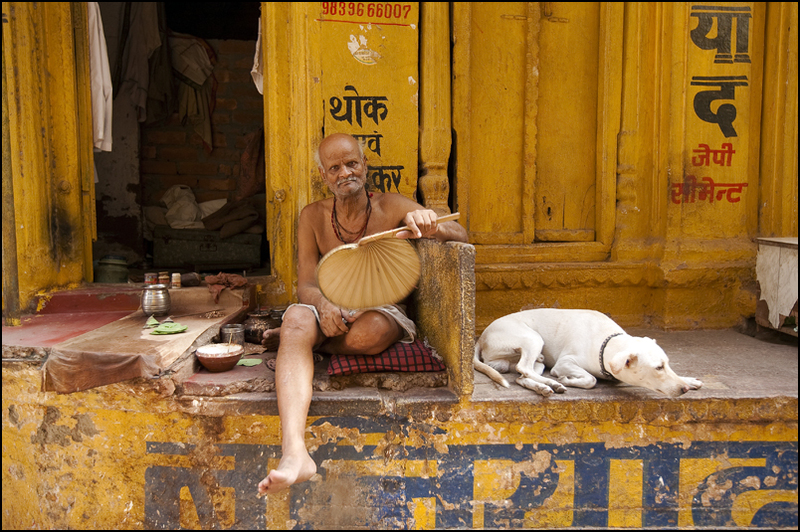 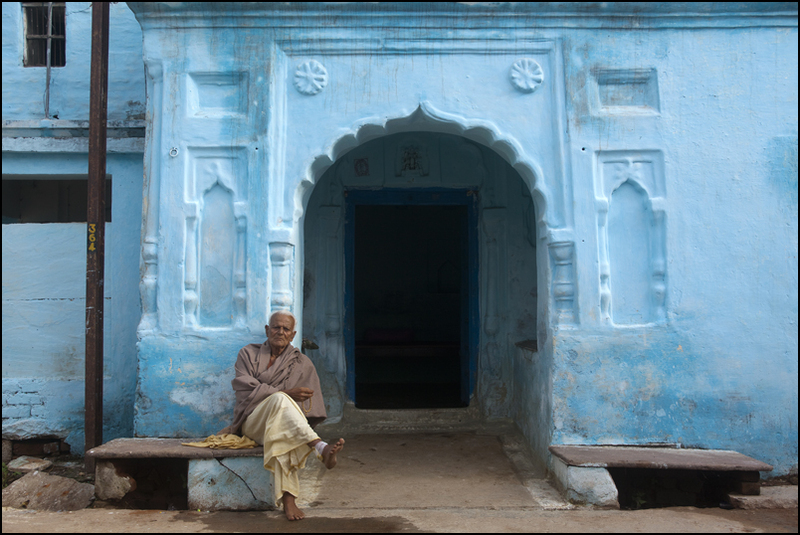 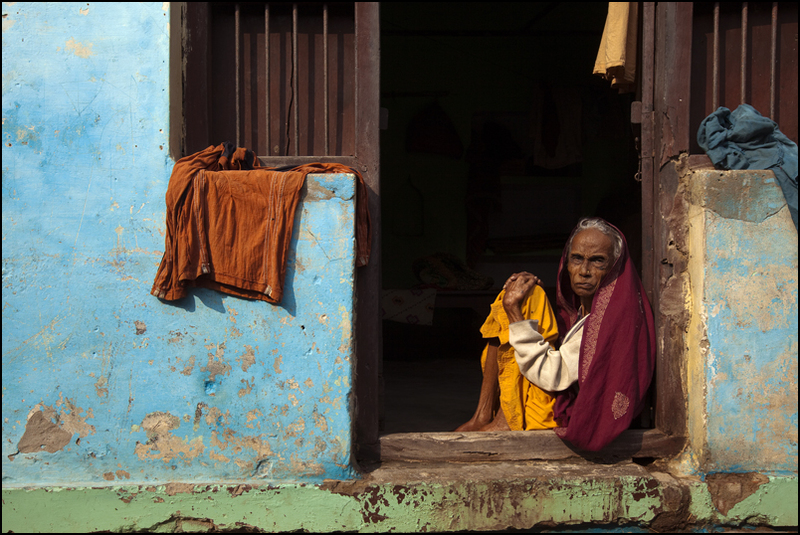 A Varanasi man sitting in front of his room in a street of Varanasi. 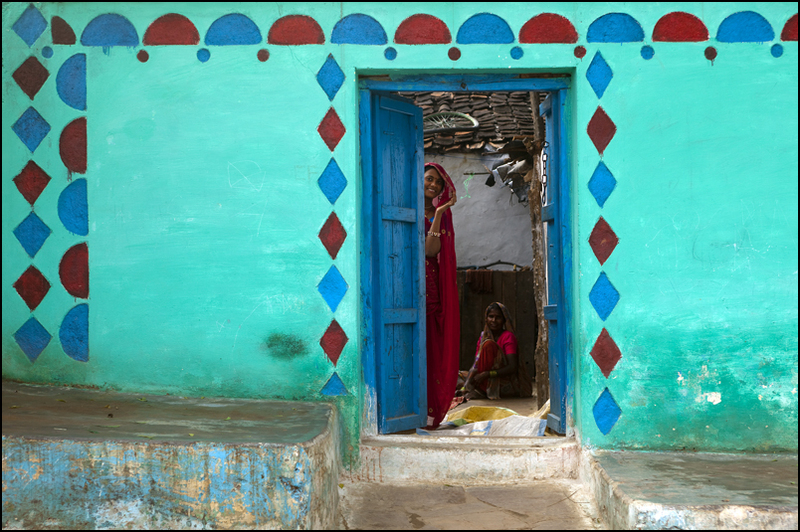 A little girl in front of her welcoming house. 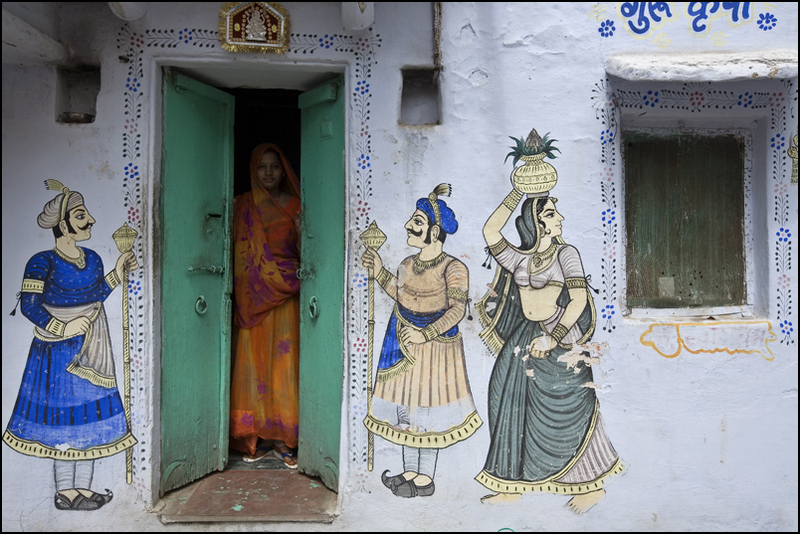 A nice home in a street of Orchha. 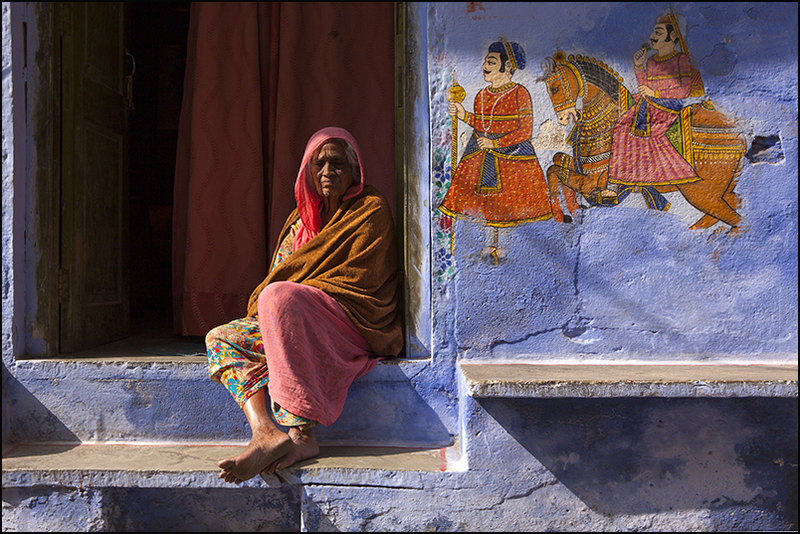 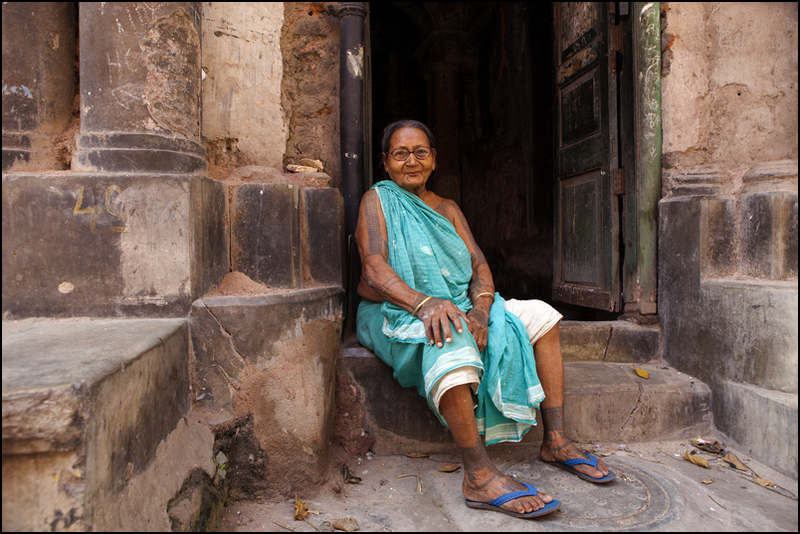 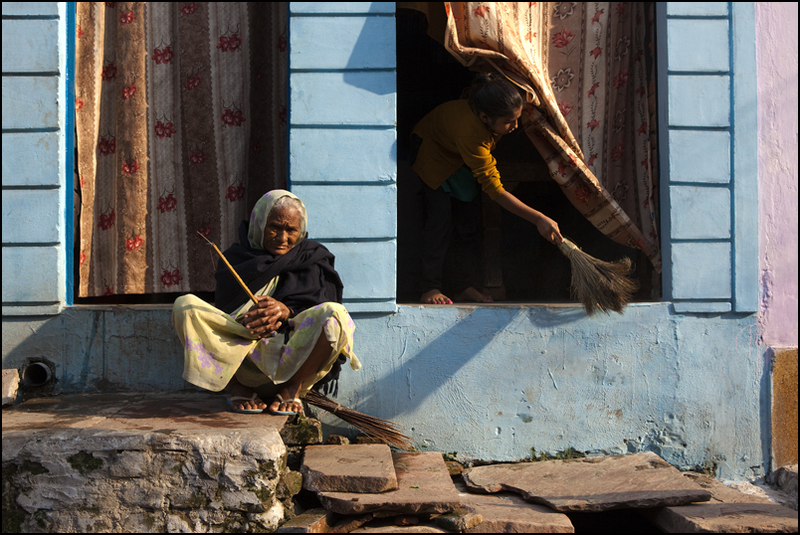 Jhulari Devi sitting on the threshold of her house in a street of Varanasi.